_ You will find White Barn Gallery located midway between Sister Bay and Baileys Harbor, on the corner of Meadow Road and Hwy. 57 in beautiful Door County, Wisconsin. This working studio gallery space is open to the public. One can often catch Donna at work in this quiet informal setting. You can get a first hand explanation of various processes and see the tools and materials used. The gallery and studio have been rearranged to accommodate small workshops. Watercolor, printmaking, oils, encaustic and mixed media are displayed. Her gallery is a destination for anyone serious about adding work to their art collections. Donna is highly regarded in the art community for her ability to push boundaries, continually reinventing her artistic vision. Her work can also be seen at Fine Line Designs in Ephraim. 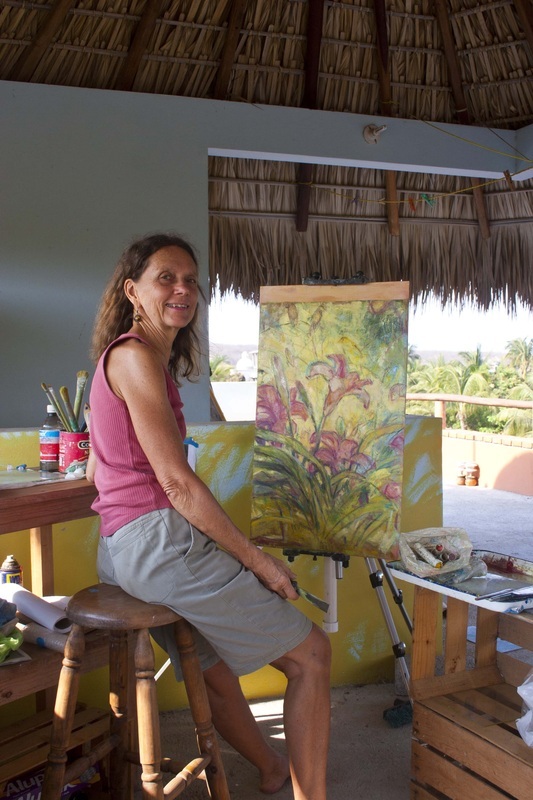 Donna's work has won numerous awards, has been exhibited in many juried shows and is included in private and public collections. 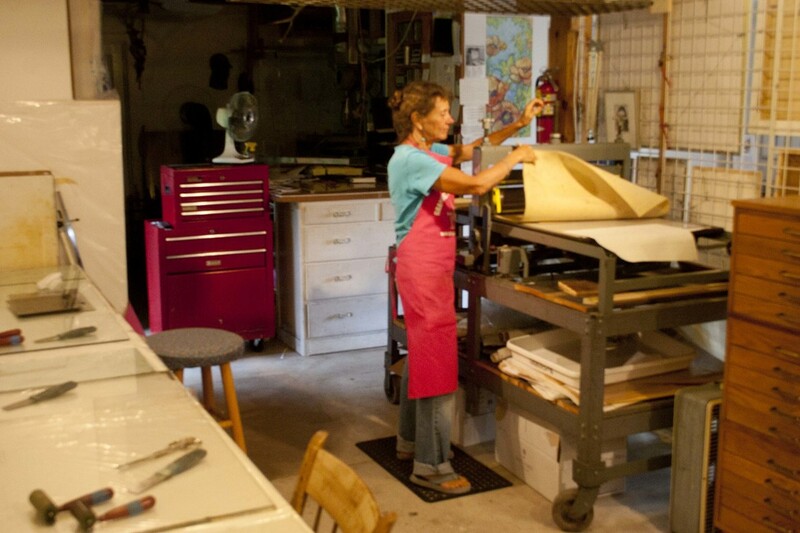 Although primarily self-taught she has attended workshops and courses including Milwaukee Institute of Design, Peninsula School of Art, and the Printmaking Center of Santa Fe. Donna has signature membership in Watercolor West and the Northwest Watercolor Society. White Barn Gallery is open seasonally mid-May through mid-October.